The historic passage of the watered down 19th amendment on 28th April 2015 is probably the single most successful parliamentary endevour, undertaken by our legislators in many years. It augurs well for Sri Lanka and its democracy that was reestablished after a decade of Rajapaksa tyranny on the 9th of January 2015. Whatever barriers the opposition mustered during the last one hundred and seven days against the passage of the 19th amendment by the Sirisena-Wickremesinghe government fell apart under President Maithripala Sirisena’s resolve to ensure its smooth passage. It also brought out the strong leadership and diplomatic skills of President Sirisena. This would also probably ensure the successful trial of the national government concept under the Maithripala Sirisena presidency. 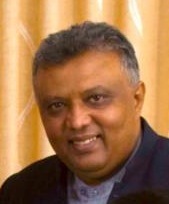 There is no doubt that the President would have shown that he is capable of an iron grip and probably used some strong-armed tactics with the renegade MPs of the Sri Lanka Freedom Party, who still harbor dreams of brining the rejected Mahinda Rajapaksa back to the driving seat of power, but did he compromise on the pledges of his campaign? Did he offer safe passage to these criminals from prosecution? Will they be spared the rod? That would go against the good governance pledge that was given to the six million odd voters who voted the common opposition’s candidate as President. Whatever the deals the political mafia of the former regime negotiated with the President, it is time for the fireworks to begin. If the President and Prime Minister cannot ensure that the perpetrators of crime under the former regime would be prosecuted, it is civil society’s responsibility to initiate action in courts of law and other fora. With the passage of the 19th amendment, there is hope for citizen’s action. There is a need to inquire in to corruption, drug dealing, illegal ethanol importation, abuse of state resources and human rights violations. The citizens of this country need not fear the white van or other forms of disappearances. That era is hopefully gone from Sri Lanka. It is time that the people’s power is brought out, on to the streets so that the loot that has been stolen from Sri Lanka by political criminals could be brought back to the people of Sri Lanka. 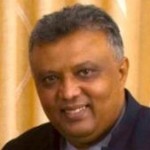 The misconceived and concocted notion that Ranil Wickremesinghe was trying to transfer executive powers to himself was the campaign slogan of the Weerawanasa–Gunawardena cartel that tried to muster opposition to the 19th amendment. They did not hide their dreams of bringing back the despotic Mahinda Rajapaksa as an executive Prime Minister so that they would be spared the guillotine for their excesses during the Rajapaksa era. The fear that they would be stacked away in the dustbins of politics under a democratic leadership was also their biggest concern. There would be no chance that they would be re-elected at the next general elections if they do not contest from a recognized political party. The 19th Amendment is not about Ranil or the United National Party (UNP), but about empowering parliament and the independent commissions that would investigate and prosecute those found guilty of corruption, abuse of power and misuse of state resources. A large number of parliamentarians who held office in the former government of Mahinda Rajapaksa are liable for punishment. 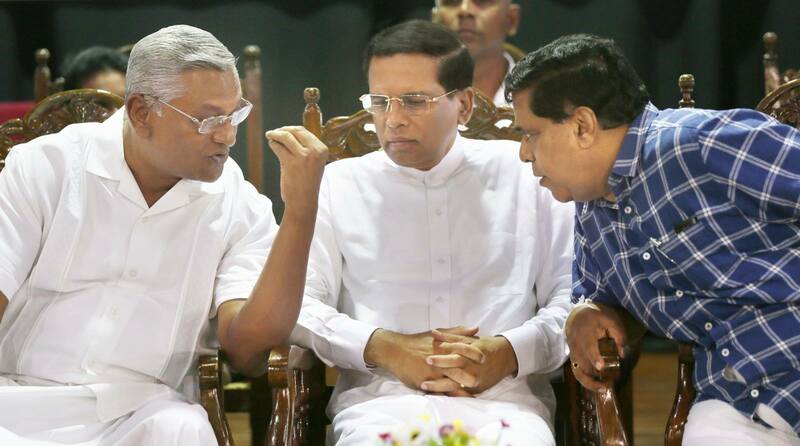 Did Maithipala Sirisena cut deals with them to pass the 19th Amendment? He would not be forgiven if found guilty. Bringing to justice perpetrators of crime was the main campaign slogan of the common opposition that elected Maithripala Sirisena to the presidency. Prime Minister Ranil Wickremesinghe and the United National Party compromised on quite a few of the important amendments that were initially proposed, probably to strength to the bargaining power of President Sirisena. Many who supported the common opposition would have been proud of the Prime Minister and President if they had stood firm even if it meant that the 19th would not have gone through. The Prime Minister could have forced a general elections and gone back to the people asking for a mandate to change the constitution, even if it meant that Sri Lanka would have had to waste valuable resources on a referendum. The 20th amendment is sure to be another pickle in the Sirisena-Wickremesinghe-Siripala dinner menu. The demands and counter demands for the 19th would be seen again with the Government giving the opposition a taste of their own medicine of the 19th. Ranil and Maithripala should stand firm against the self-interests of small groups that would attempt to highjack the discussion on the 20th. Minority parties as well as smaller parties represented in parliament would ensure their numbers by increasing the representation to the 250 mark, but what would be most important is to establish the need for higher representation in parliament. Delimitation processes should be undertaken as a priority to ensure justice to the large number of electorates with huge voter bases. It would be unfair if parliamentary representation for a candidate who gets 5000 votes in one district is the same as for representation in a district that has a very large voter population. This disparity needs to be addressed. Certain electorates in urban centers too may need to be merged and made in to electorates with multi representation to ensure justice to the large voting population. There is no doubt that some who have been elected with less than 10,000 preference votes will want to be reelected under the same flawed system, but justice must prevail and true peoples representation reinforced.